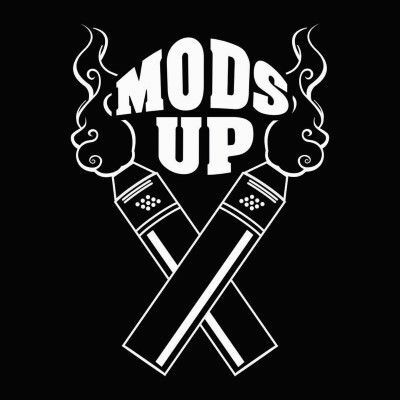 The Owners of Mods Up are Avid Vapers of over 5 years, and have Successfully Owned and operated Their Vapor supply stores for over 3 years Now ! You May Recognize them from another Popular Brand if your already an Avid Vaper Yourself . Knowing who is running the show around here might bring a smile to our Vape Fam’s Faces ! But if you are new to the world of Vapor , Then we are new to you and we welcome you! If you landed on this site and would consider yourself a new vaper , Congratulations ! You have made a choice to better your lifestyle and future and we couldn’t be more excited to meet you! The New Vaper is our First Priority because new Vapers are usually unsure of what the future holds for them , we want to show you the world Smoke free from our eyes! We want to walk with you on your Journey to being smoke free and celebrate ever Ashtray You defeat ! We are here for you Day and Night 7 days a week at the shop and 24 hours a day through our Social media we offer help and trouble shooting. We are here and ready to help and answer all of your questions , never hesitate to reach out to us ! We are your Vape Family Now! Now all My old heads that have been vaping for a while are saying hey hey what about us we are your priority too right ? Well I gotta tell you , you are so important we value you because you stuck with it and you are our proof ! Vaping works ! But not only are you the key to all the newcomers success but you are the reason we have been able to Grow the vaping industry so Large in such a short time ! You are our fighters and our Proof and we have so much here to offer you , that your gonna be calling this your second home after your very first visit to the shop! Mods Up carries a Wide Variety of Premium Eliquid Flavors. To date we have over 200 flavors already set up for testing and there is always more to come ! We have covered every category of flavor so there is definitely something for everyone ! We carry only the best products on the market, some are even rare and hard to find . We do NOT deal with Clones,. we don’t offer them or sell them in our store. we feel that it is not appropriate to take someones hard work and masterpiece and, try to copy it for a profit . Although all of our items are Authentic we have found a way to keep vaping affordable so don’t worry about having to wait until payday to come hang out at Mods up and find your newest device! We have a huge selection of Pre made Coils To fit everything from starter sets to advanced Mods . We even carry accessories to customize your devices when you seek being unique ! For the Glass Lovers out there we carry That too! Our Job is to Cater to the Adult smokers in our community so as much as we would love to convert every single smoker into a vaper , we know that transition takes time so we have what you need too, just remember we are always here and waiting for the moment you tell us your ready to make the big switch to vapor !